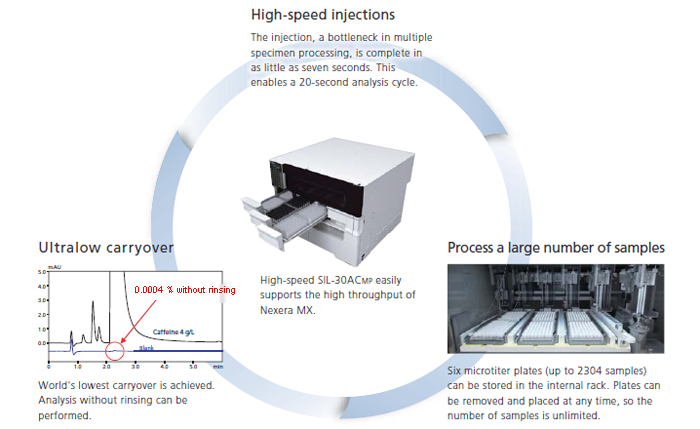 Conventional analysis requires performing various processes such as column washing, equilibration at initial mobile phase concentrations, and the next sample injection by the autosampler during the analysis. Therefore, demands have increased for LCMS systems that shorten the time described above spent for processes other than data acquisition in order to improve analytical throughput. 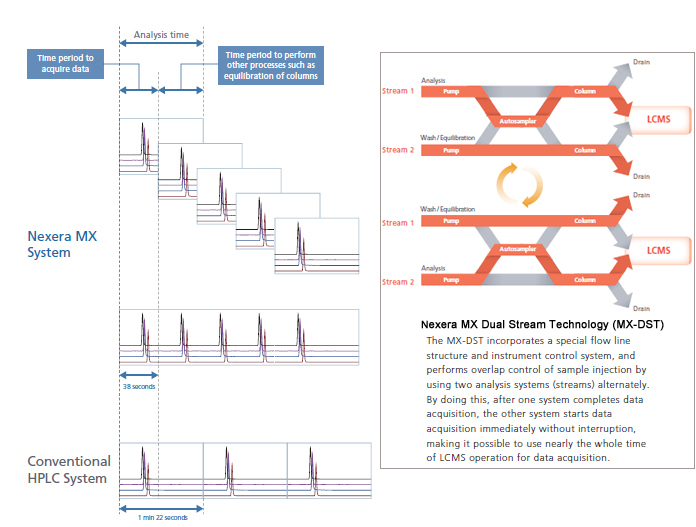 In an analysis of four biomarker compounds for the four major molecular species in the Cytochrome P450 family, the Nexera MX completed the analysis in only 38 seconds whereas conventional HPLC required one minute, 22 seconds.